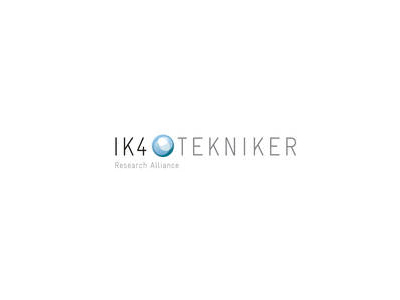 IK4-TEKNIKER was legally incorporated in 1981 as a non–profit foundation, based on a statutory commitment aimed at upgrading the competitiveness of the industrial fabric and its services via technological support. From a historic perspective, IK4-TEKNIKER is a renowned centre of manufacturing technologies. The preferential sectors covered include ancillary automotive sector, machine–tool and accessories, aeronautics and outer space applications, mechanical capital goods and moulds and dies. IK4-TEKNIKER is divided into several units dedicated mainly to intelligent systems, manufacturing processes, surface engineering, and mechatronics. Additionally IK4-TEKNIKER provides technological services covering the following aspects: dimensional metrology, chemical analyses and metallographic analysis. The research group mainly involved in the project is the Smart and Autonomous System Unit (SAI) and the Advanced Manufacturing Technologies. SAI research is focused on developing intelligent robotic applications able to interpret the environment through multimodal sensors, implementing strategies for navigation and manipulation to adapt to changing conditions and allow safe interaction with people. SAI has an experienced team consisting of electrical, electronic, computer engineers and physicists. The research activity of the Advanced Manufacturing Unit falls into: machining technologies, ultrasonic processes and laser processes (cutting, welding, micro-structuring, texturing, cladding, and hardening).